You have talents that you’ve never tapped … and even greater satisfaction that you could be enjoying. You simply need the keys to unlock those talents and get them working for you. 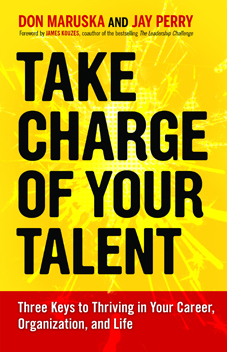 That’s what Take Charge of Your Talent delivers. with a Certified Talent Catalyst who, in an hour, can guide you through a Talent Catalyst Conversation and help you connect with your natural passion and motivation. with a coach who can work with you for several months on all three keys of Take Charge of Your Talent. Key #1. Power Up Your Talent Story — learn how you can be the hero of your own talent story with a Talent Catalyst Conversation that stimulate new possibilities and engages your self-motivation. Key #2. Accelerate through Obstacles — Inertia hobbles us unless we take concerted action to break through it. translate intentions into action and apply proven productivity tools to create room to grow and nurture the inner qualities that will rocket your hopes into reality. Key #3. Multiply the Payoffs for Yourself and Others — as you explore and develop your talent, learn to develop valuable personal assets that are concrete and transferrable. Make your talent a joy for yourself and a contribution to the world. Want to explore how you can unlock your talent? Want more specifics as to why Take Charge of Your Talent is so effective?